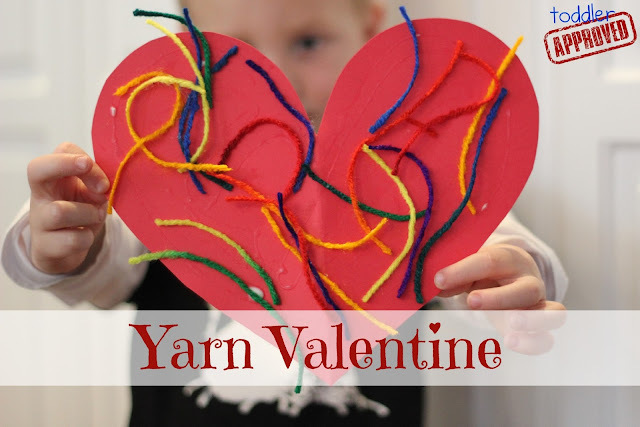 Last week we had a great time with yarn as part of our ABC's of Toddler Activities series... so we decided to make yarn valentines! It is never too early to start making heart-shaped masterpieces for people you love. Valentine's Day crafts don't get much simpler than this project, so I think your toddler will enjoy it! Snip your yarn with scissors so that you have pieces that are all sorts of different sizes (my preschooler loves to snip yarn... so he cuts yarn for both him and his sister... it is a great way to work on his snipping skills). Add some glue onto the heart. Let the project dry and then write a message on the back of each heart or string several together to make a heart banner. 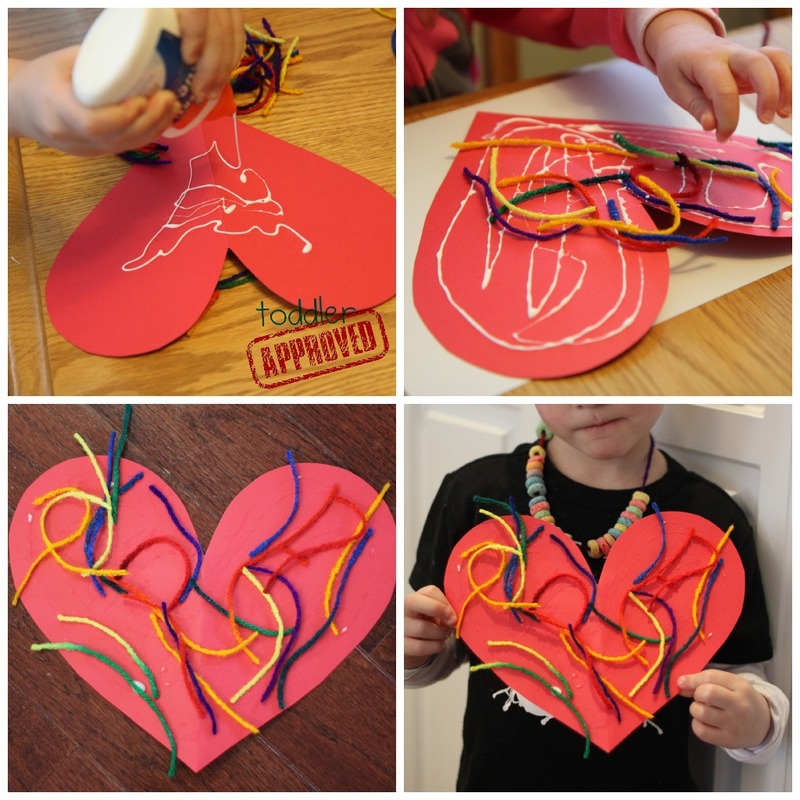 Do you have any other favorite super simple toddler Valentine's Day crafts? Very sweet! i love how simple it is. And I love the fruit loop necklace your son is rockin'! Aww, how cute is your son? I'm sure my son would have a blast with this one. He'll probably use some glitters, too. ;) Messy but fun. They came out so beautifully!